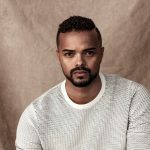 Eighteen film and TV screenplays have been shortlisted for the inaugural Gateway LA Script Development Program launched by Australians in Film (AiF). The winner will get a cash prize to facilitate development of the script, a flight to Los Angeles, meetings with producers and executives and table reads. 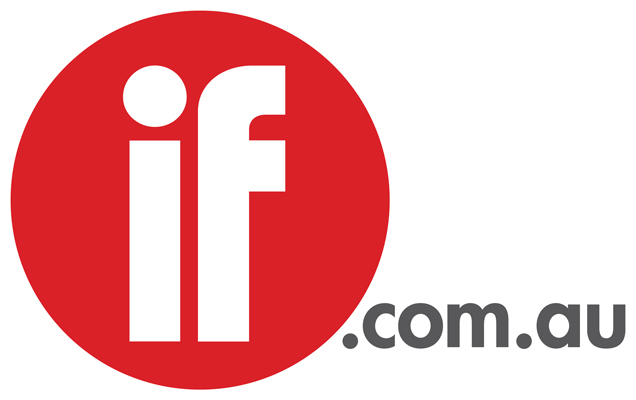 AiF will announce the winner and runners-up, who will form an ‘Aussie List’, determined by a panel of expert judges, and the value of the cash, in a month. 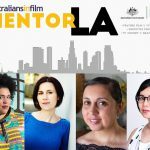 The projects were selected from more than 500 scripts submitted to the L.A.-based Australian entertainment industry guild. The program aims to provide Australians living and working in the US with more opportunities for support and resources and to help Australian projects secure exposure to the best networks in the business. "We're incredibly proud of the projects coming out of Australia and thrilled to be able to offer writers an opportunity to showcase their work to the international market," said AiF president and co-chair of the program Simonne Overend. "It’s often difficult for writers to reach industry decision makers in Hollywood, particularly when they are not based here. The Gateway LA program aims to serve as an accelerated path for talented Australian writers and their projects." The panel of judges includes: Audrey Chon, VP scripted TV, Shine America (Gracepoint, The Bridge); Michael Costigan, producer (Stoker, Out of the Furnace); Jonathan Hludzinski, creative executive at Animal Logic; Peter Lawson, VP of production and acquisitions, Open Road Films (Triple Nine, Nightcrawler) and co-chair of Gateway LA Program; Simonne Overend, VP of scripted development for Essential Media; Bruna Papandrea, producer, Pacific Standard (Warm Bodies, Wild); Michelle Sandoval, executive, Ausfilm; Bec Smith, United Talent Agency; and Stacey Testro, manager/producer, Stacey Testro International. A political candidate sees the movie version of his life and realizes he's going to be assassinated. The untold, really true story of how the life of Nicklaus Kringle — a notorious cat burglar and con-man — was turned around by discovering the joy of giving instead of taking, and how in the process he became the beloved and world-renowned Santa Claus. Stranded in rural Australia in the aftermath of a violent pandemic, an infected man desperately seeks a new guardian for his infant child. Loving a winner is easy, you fight for the ones who pick you up when you lose. An ambitious detective is on a hunt to find a missing girl trapped in the crawlspace of a serial killer's house. When a young man discovers he is trapped in a romantic comedy movie, he has to find the girl of his dreams, win her heart and get the happy ending before the end credits roll. For wise guy turned rat, Joey Catanzariti, escaping the undead is one thing. Escaping the family is another. Oscar, a spider who can’t spin webs, sets out to prove he is nonetheless hero material. Instead, he gets captured by a creepy biology teacher. To escape dissection and save his family, Oscar must do something no spider has done before: take on a human and win. Australian soldiers are in Afghanistan to train their allies, the Afghan National Army, as they try to stop the Taliban from taking power in Southern Afghanistan. The problem is, everyone wants the Australian soldiers dead or gone or both. Especially their allies. A bitter man who hasn't seen his famous father in 20 years is suddenly visited because dad has terminal cancer and wants his son to kill him. The true story of a CIA agent who recruits a young Indigenous Australian as a sniper assassin to remove key political targets in the early days of the Vietnam War. A young romantic and eternal optimist, Devon, falls for a beautiful and mysterious girl, Lucy… who just may be all in his head. When Molly makes the choice of saving the life of a boy she doesn't even know; she finds herself fighting the biggest gangster in the city. Pegasus is a sci-fi comedy about repeated failure, crushing defeat, and all the lessons it teaches us, whether we learn from them or not. The tiny coastal town of Saviour is rocked when three of its children mysteriously develop hyper-cognitive abilities. An ex-con gone straight is pulled back into chaos by his pro-surfer younger brother, whose own criminal habits are spiralling out of control. One man's journey to the future to save his dying wife. Nick keeps waking up in an abandoned psychiatric hospital, but every time he tries to escape he's ripped back to 1954 where he’s a patient categorised as delusional.